A brief (?) history of photography and photojournalism, a bit on methods, and the current state of things. The story of photojournalism began with the invention of photography. Thomas Wedgwood’s camera obscura was taking faint (and very shadowy) pictures in 1800, but the images deteriorated. French inventor Joseph Nicéphore Niépce continued Wedgwood’s work, and took what’s considered the first photograph by coating a pewter plate with a bitumen solution and placing the plate into a camera that was looking out from an upstairs window of his house at Le Gras. Okay so maybe it’s more impressive in theory than reality. After an exposure of at least eight hours (some say it may have been days), the plate was washed with a mixture of oil of lavender and white petroleum, dissolving away the parts of the bitumen that had not been hardened by light. It renders a view of the outbuildings, courtyard, trees, and landscape as seen from that upstairs window. Now that they’d figured out that whole permanence thing, Niépce went into partnership with Louis Daguerre, but he died of a stroke before they could further perfect the process. Daguerre was interested in using silver based solutions, working with the chemical interaction that produced silver iodide, but the long exposure time made the process useless. Then Daguerre discovered a practically invisible latent image left on a plate after a much short exposure could be “developed” by mercury fumes. A strong solution of common salt “fixed” the image by removing the remaining silver iodide. The daguerreotype was born! 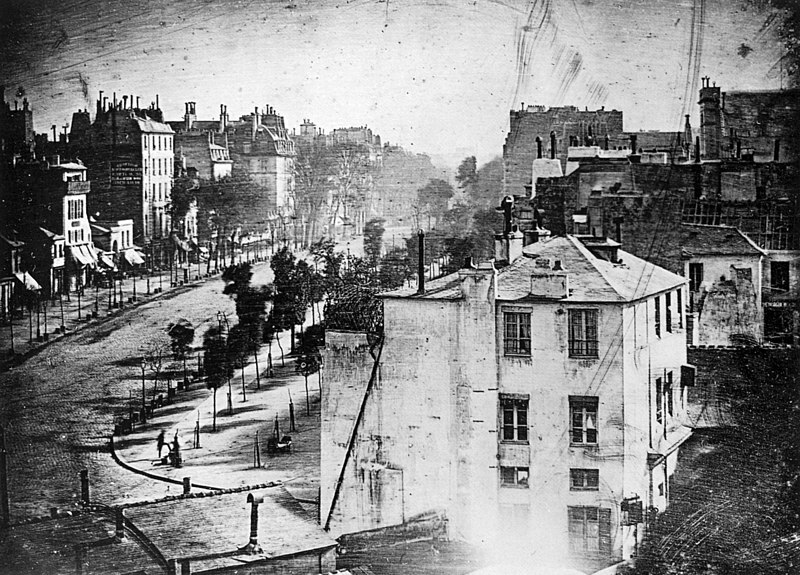 The first photograph of people, taken in 1838 by Daguerre himself. Photography is one of the few technologies that was immediately shared as a “gift to the world” by the French government who bought the technology for a pension for Daguerre and Niépce’s son. Paper prints were soon developed as well as glass, and photographers began experimenting with lighting and retouching. People even began some early photoshopping, taking portraits where the subject appeared twice in different clothes. Thirty years earlier, when Gardner and his assistants Timothy O’Sullivan and James F. Gibson reached Gettysburg shortly after the terrible battle there, most of the dead soldiers were either buried or decomposing. So when the photographers spotted the intact corpse of a young Confederate near a part of the battlefield called the Devil’s Den, they took full advantage. After shooting photos of the soldier where he had fallen, they appear to have put his body on a blanket, and lugged it to a more photogenic location, according to historian William A. Frassanito. 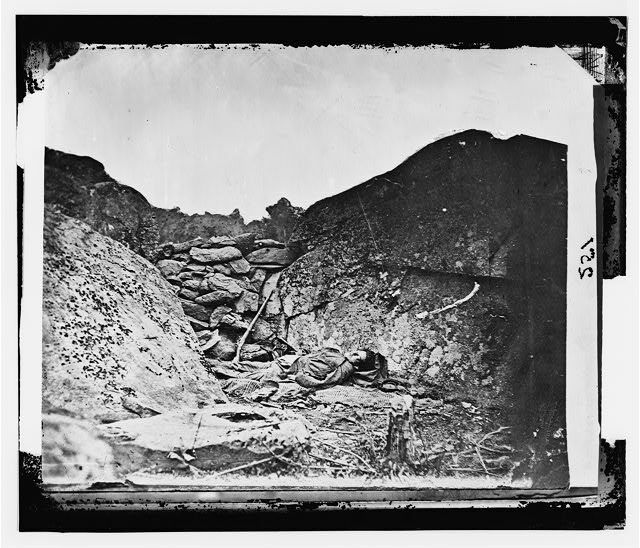 The photographers placed the soldier against the backdrop of a stone fortification, probably turned his head toward the camera, and leaned a rifle beside him for maximum effect. 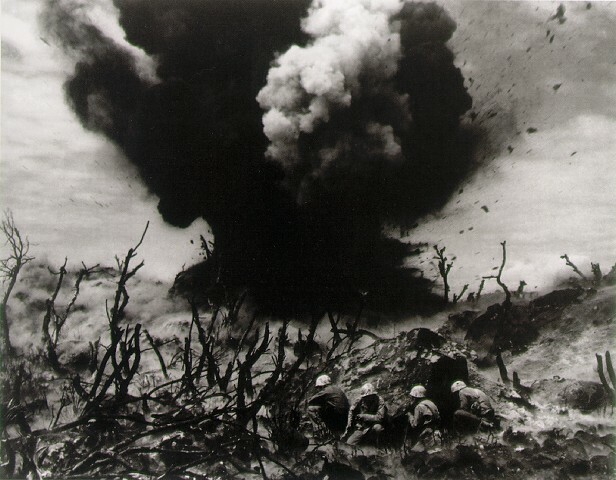 The resulting picture, one of the war’s most memorable, was largely accepted at face value until Frassanito, in his groundbreaking 1975 study “Gettysburg: A Journey in Time,” unearthed what probably happened. The most iconic photograph of the Battle of Gettysburg, perhaps of the whole the Civil War was staged. In 1888, Kodak developed photographic film that replaced the heavy plates and dangerous chemicals photography was known for. 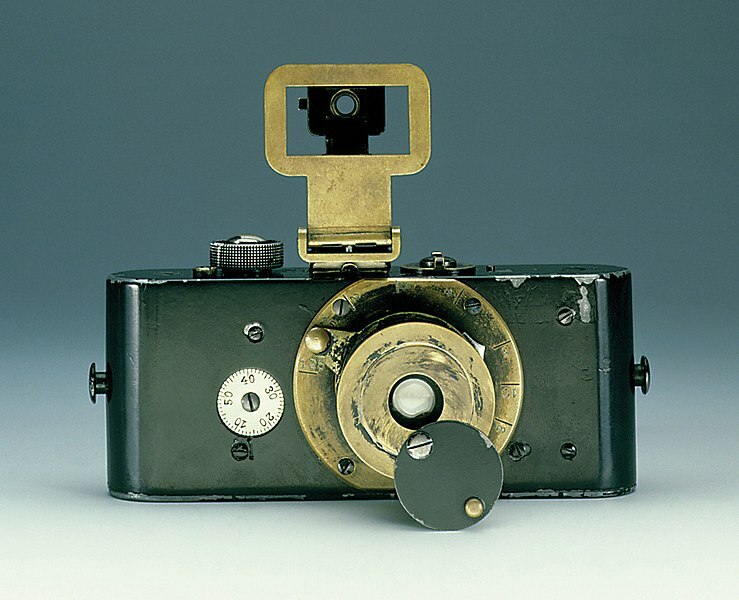 In 1901, they released the Kodak Brownie, and amateur photography took off, leaving the developing process to the Kodak company and their affiliates. Point and click photography was here. The Leica camera, the first camera to offer both portability and professional quality, effectively created the field of photojournalism as we know it today, the beautiful candid shots that make “time stand still,” to quote a certain play. Just as the Leica originated in Germany, so did the idea of photo magazines. A photographer and editor collaborated together to produce a story using photographs and captioned text (called “cutlines.”) A theme setting photo would be printed larger and other photos would follow. Cutline text was spare, orienting the reader but focusing on the power of the visual. Photos were selected from the photographer’s “contact sheets,” a grouping of tiny photos all on one page that the editor examined with a magnifier. The rise of Hitler led to the persecution of many photographers and photo editors and many fled to the United States, just in time for magnate Henry Luce to conceive of his weekly photo magazine, Life, which launched in 1936. Life‘s coverage of World War II is still iconic today, but its first feature was more domestic, a study of the building of a dam by Margaret Bourke-White. I could pick one photo but the whole thing’s really breathtaking. Click and see! W. Eugene Smith and Robert Capa were Life‘s go to war correspondents, and both men paid heavy prices for their beautiful pictures. Smith was injured on assignment in Japan and Capa was died after stepping on a landmine during the First Indochina War. On the domestic side, the Farmer’s Security Administration hired photographers to survey their work during the Great Depression, including Arthur Rothstein and Dorothea Lange, who took the iconic “Migrant Mother” image you see on the cover of so many copies of Grapes of Wrath. You can read more about their work here at the Library of Congress site. The photospread has been reborn as the online photo gallery, run by the web arms of periodicals like The New York Times, Washington Post, and Time. While shooting a high quality color image costs virtually nothing in the age of digital photography, printing said image is more expensive than ever in an era where print media is being rapidly outpaced by its competitors. Today, the average salary for a successful photojournalist is usually between just under $30,000 and $43,000. The profession was ranked as one of the most stressful jobs in America by the CNBC. Photogs can work for publications as correspondents, either as freelancers or embedded with the military with the proper credentials, or they can sell their photos to stock agencies like Getty Images after the fact. Check out this amazing feature from Time Magazine of photojournalists’ most moving pictures of the Iraq War here. And though I don’t usually find myself linking to Buzzfeed for research purposes, this feature with war photogs telling how they got their shots is a great primer. This brief blog post on how to write a cutline is an interesting view behind the scenes.